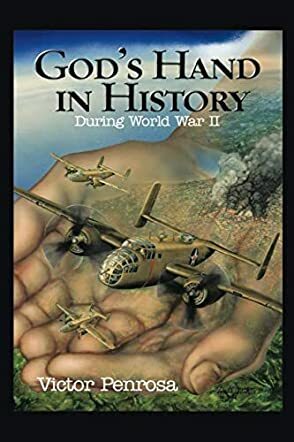 God's Hand in History: During World War II by Victor Penrosa is a book that looks at an important piece of history, notably the history of WWII through the eyes of faith. As devastating and destructive as this war was, the author thinks God didn't withdraw Himself and watch humanity destroy itself from afar. In these pages, the author argues that God was present in the affairs of men during the war and that He actually intervened. Victor Penrosa writes: “My goal is to show you how God did get involved throughout World War II. God is involved not only with individual lives, but in the affairs of all nations.” From the strange weather on D-Day to the decisions made by the Axis generals, the author takes readers through the events of the war and demonstrates how God’s providence was at work, leading the course of the war towards a victorious end for the Allies. Deeply thought out and beautifully written, God's Hand in History: During World War II is filled with incredible facts about the most devastating war the world has known. It is well researched and written with a confidence that derives from much research and knowledge. Victor Penrosa writes in a very simple yet engaging style, allowing readers to visualize some of the intense moments of WWII, but it is the message of this book that took me by surprise — the fact that God was actually present at the most painful period of history, a period filled with despair. I enjoyed the biblical references and how the author transmits his faith by looking past the seemingly accidental happenings during the war to see the Divine hand of God at work. This book is hugely inspiring and filled with wisdom. It will definitely change the way we read history and the way we look at adversity in our personal lives.